Blackbird Sweets is an independent bakery locally owned and operated by professional cake artist, Andrea Amodeo. Andrea's edible artistry has been delighting customer’s palates for 14 years and continues to expand and grow. Whether you are planning a birthday, shower, bachelorette or dream wedding, Blackbird Sweets delivers confection perfection and wow factor with every bite. Blueberry cupcake, cheesecake filling, blueberry buttercream and pie crust crumb. Pumpkin cupcake with cinnamon cream cheese frosting and pie crust crumb. Dark Chocolate chunk cupcake, salted caramel center, cream cheese frosting, caramel drizzle, & fondant blackbird. Sugar Cookie cupcake with vanilla bean buttercream topped with a sparkling red flower. A portion of each sale donated to The Sarah Thorp Acton Scholarship Fund. 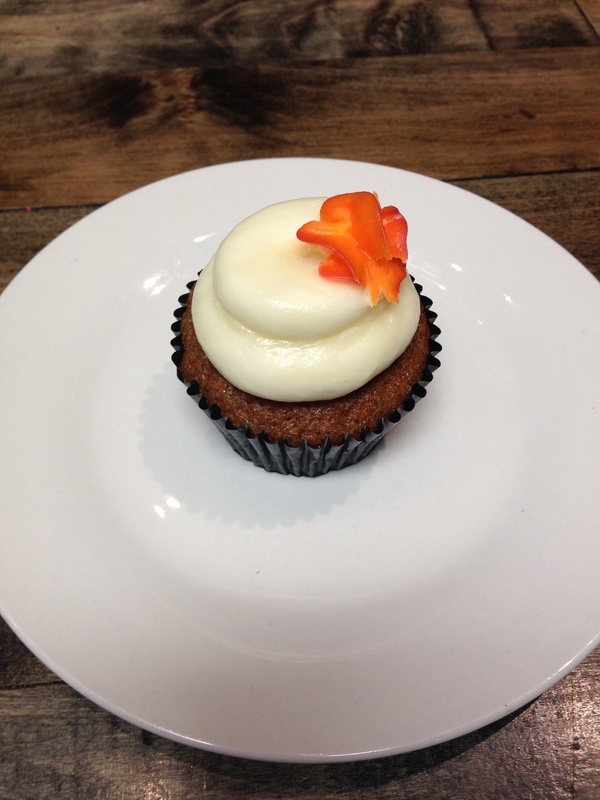 Carrot spice cupcake with cream cheese frosting. Dark chocolate chunk cupcake with Peanut butter buttercream. Vanilla sprinkle cupcake with buttercream dipped in sprinkles. Chocolate chunk cupcake, fudge center, topped with peppermint swirl buttercream. In store cupcake flavors change daily. Please call 716.253.1115 or follow us on Facebook for daily menu.